The Browne Center works with a variety of youth and student populations to promote learning and personal growth in participants. Our programs consist of a customized sequence of experiential activities that foster individual and team growth. In an environment that is fun, safe, and respectful, our programs also provide opportunities for participants to make positive choices, gain self-confidence, and learn skills that are critical to their development. With a long history of working with schools, The Browne Center has developed a year-long in-school Social and Emotional Learning curriculum. 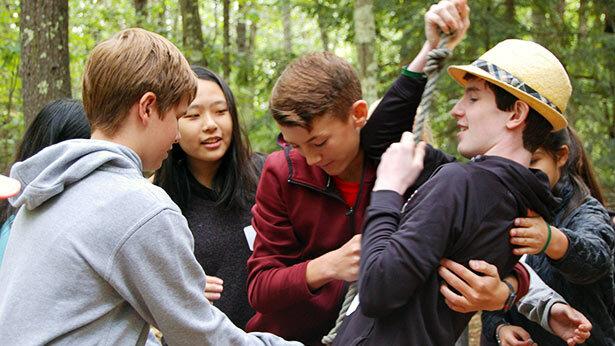 Building skills in collective leadership, teamwork, problem-solving and conflict resolution. Understanding how effective communication and peer support can enhance group decision-making, the development of trust, and positive risk-taking. Creating an atmosphere of acceptance and community. Welcoming and integrating new students. Offering opportunities for students to take positive risks. Strengthening relationships between staff and students. Deepening student’s awareness around accountability and responsibility. Developing skills needed to be able to resolve team conflicts. The Browne Center Youth and Student Facilitators are among the best in New England. They have significant and diverse experience with youth and student populations from recreation, education, and therapeutic settings. Each staff member has a minimum of 50 days leading on a challenge course prior to being hired and attends regularly scheduled technical skills refreshers. Additionally, each facilitator holds current certification in First Aid and CPR. In addition to their challenge course credentials, many of our staff have graduate level experience and backgrounds in social work/therapy, classroom teaching, special education or other relevant fields. Most facilitators hold a higher education degree in Outdoor Education or a related field. Creating a dynamic program based on your group’s specific goals is the touchstone of our youth programming. Whether coming together as a recently-formed group, integrating new members to a pre-existing group, addressing specific behavioral issues, or striving for performance excellence, we provide an action-packed program to meet your group’s needs. Our activities include, but are not limited to: challenge/ropes course, orienteering, and portable games and problem solving. The Browne Center has two state of the art and nationally renowned challenge courses, as well as, a 42-foot fieldstone climbing wall. 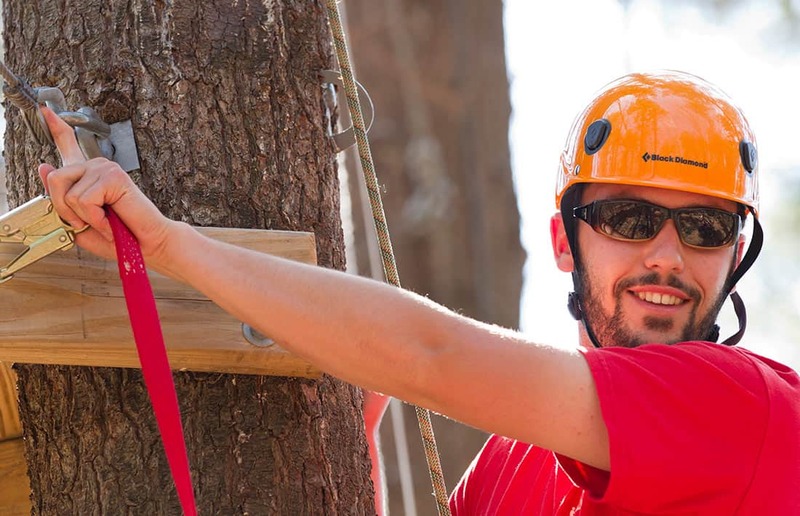 Our two courses include 60 low and high elements making The Browne Center one of the largest challenge course operators in New England. We have partnered with Project Adventure, Inc as our inspection and repairs vendor to ensure that our courses are at the highest possible standard. The Browne Center creates programs designed to fully integrate individuals from the entire spectrum of physical and emotional abilities. Challenges will not be the same for all, but they will be available to all participants. Our accessible facilities consist of a range of adaptive elements including: Universal Nitro, Teeter, and Flying Squirrel. Browne Center staff create an inclusive environment using the cornerstone philosophies of Challenge by Choice and Full Value Contract. We encourage each participant to choose their own level of challenge – physically and emotionally. Low elements are group-oriented challenges that are located on or near ground level. These elements do not require any special safety system other than diligent spotting by group members. 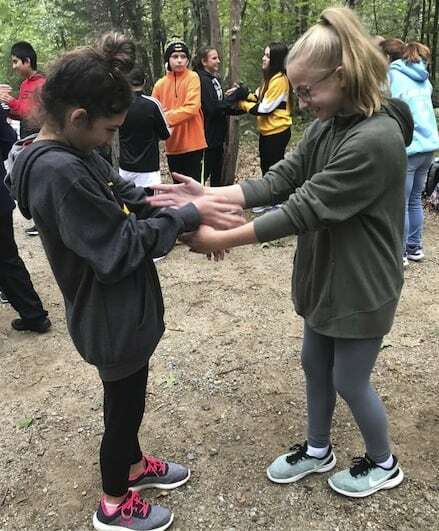 In many ways, low elements are the heart of the challenge course experience, and provide an introduction to the power of the team work with an emphasis on full participation, trusting others, and creative thinking. High elements are installed 20 to 40 feet above ground, requiring a belay system for safety. They allow participants to go beyond their preconceived limitations of trust and personal ability by relying on their peers and school/Browne Center staff in the belaying process. When climbing on a high element, individually or in a pair, physical strength is not the most significant asset; the most important factor is group support. 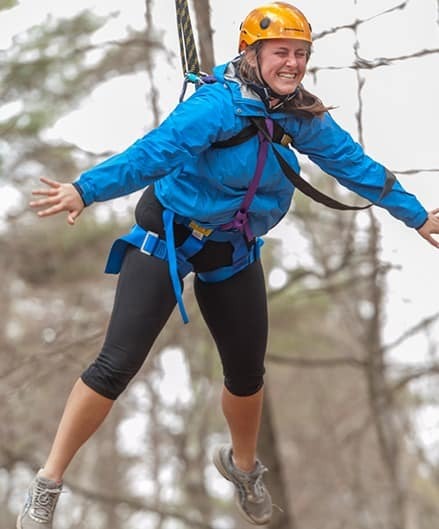 High elements, in general, are considered the most memorable part of the challenge course experience because of the anxiety and exhilaration participants feel during the activity. Portable Games and Problem Solving initiatives are designed for learning and fun! 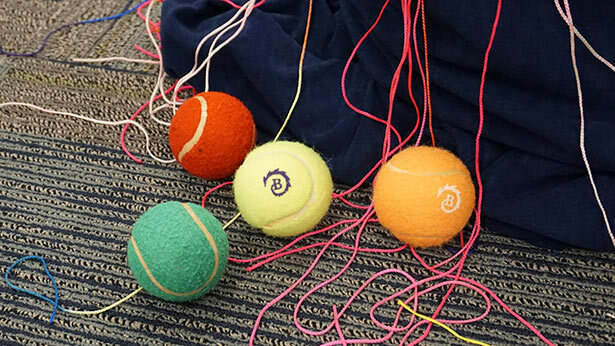 Using “props” – fleece balls, rubber chickens, blindfolds, and other problem-solving kits – these activities give participants the opportunity to experience the positive benefits of working with others. Initiatives build collaborative and problem-solving skills by requiring a high degree of interaction among participants. Since initiatives are portable, Browne Center facilitators will travel to your site for a half or full-day program in any season. A typical day begins with a short orientation session, including warm-ups and introductions. This gives us a chance to familiarize you with the area, the time schedule, and our teaching philosophies (Challenge by Choice and Full Value Contract). This is also a time to set group and individual expectations for the day. After the warm-up, we may continue with goal setting or establishing a more complete full value contract for the group. Groups begin on problem solving and trust building initiatives where members work to solve various challenges and learn about communication, themselves, and the group. Specific Problem Solving Activities & Low Ropes Elements would be chosen depending on your group goals. Using new skills and knowledge gained during the initiatives, the group can now move to challenges posed by the low elements. Time is always provided to discuss the learnings drawn from activities. The afternoon may be a continuation of the Low Elements, keeping the focus on team-building and group interaction, or, groups may move to the High Elements. The groups is outfitted with helmets and harnesses, and instructed on the proper use of safety equipment and a belay system. There is usually a culminating experience where the whole group comes together to wrap-up or debrief the day. This is a great time to evaluate the group’s expectations, goals and plan the transfer for the learnings to other settings. 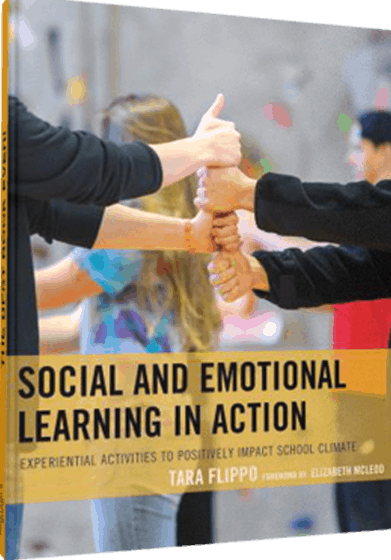 A Book and Training: Social and Emotional Learning in Action: Experiential Activities to Positively Impact School Climate. Social and Emotional Learning in Action (SELA) provides a developmentally sequenced year-long, modular flow or stand-alone lessons that integrate the benefits of experiential and social emotional learning into the classroom. With over 50 available facilitators and trainers, The Browne Center can tailor a unique program specifically for your group at your location or at our 100+ acre campus in Durham, NH. Contact us by email, phone or the form below.